The mountains are close enough to touch at this Arthur Hills design. 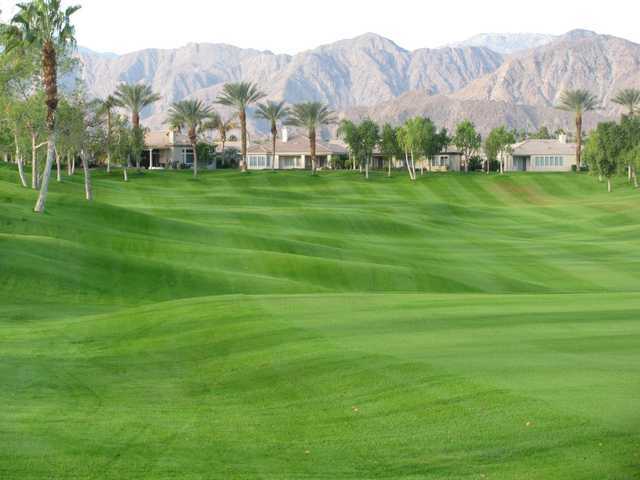 Heritage Palms measures 6,698 yards from the back tees. 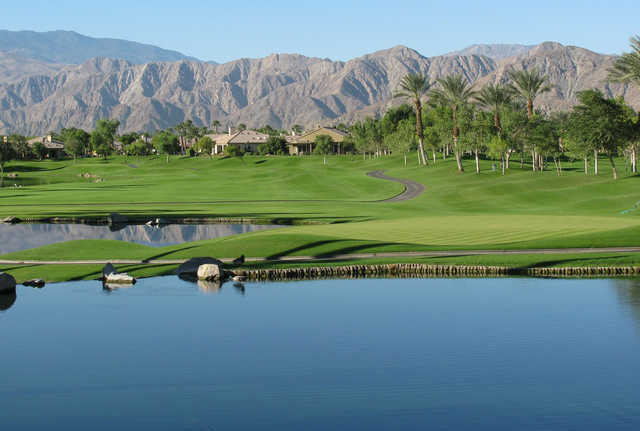 Four lakes are featured on the course, which is very green for a desert design. Hills contrast the fairways against the mountains and the desert in the distance, but this is very much a resort type course. The par 3s are particularly inventive. This isn't one of Hills' tougher courses. 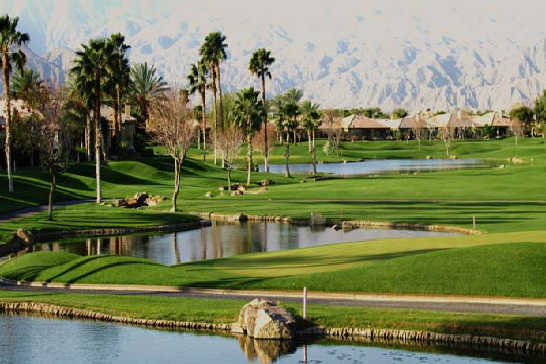 It offers average hackers the chance to have a largely anxiety-free round. As long as they don't get too carried away with club selection. There are a number of dogleg holes that force you to think before firing away. Just hitting as far as you can is an easy path to trouble. It's the shot after the shot you're hitting that must be thought of.